Francis of Assisi (1182-1226) was born in Italy into a wealthy family and led a worldly and reckless life during much of his youth. In 1202 he was imprisoned for several months and on his release became seriously ill. Dissatisfied with his life, he turned to prayer and four years later publicly renounced his family and his wealth, to the horror of his father. After this Francis lived as a simple hermit and spent much of his time ministering to the poor. Gradually he began to attract disciples and eventually founded an order called the Order of Friars Minor and later an order for women called the Poor Clares. However, Francis was not a good organizer and in time he handed over the day-to-day running of his orders to others and retired to a life of silent contemplation. It was during this period that he began to m anifest strange wounds on his body similar to those of Jesus. Francis died in 1226 and two years later was proclaimed a saint by the Catholic Church. For Buddhists, Saint Francis is the most attractive of all the Christian saints. In many ways his life was similar to the Buddha’s. His behaviour and teachings manifested the best of Jesus’ gospel of love; gentleness, forgiveness, simplicity and renunciation, but without the dogmatism and harshness. He was also particularly kind to animals, something that had no place in Christianity up till then. 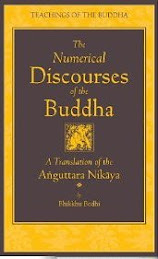 If Francis had been one of his disciples, the Buddha would have praised him as an exemplary monk. However, the two men were also different in some ways. 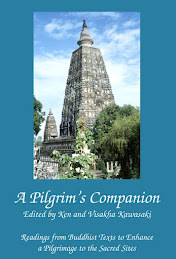 Francis was inept in practical matters while the Buddha showed sound judgement and common sense in most things he did. Francis’ simplicity extended to intellectual matters; he was innocent, trusting and guileless in the best possible way. 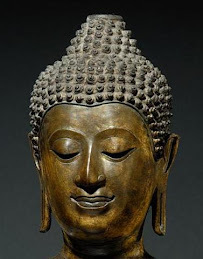 The Buddha by contrast, was thoughtful, knowledgeable and intellectually rigorous. Francis had all the endearing qualities of a child; the Buddha, all the finest attributes of an adult. The lives, teachings and examples of the Buddha and Saint Francis are important today in that they can serve as bridges of understanding between Buddhists and Christians. Ah, would he have been praised as an exemplary monk? Judging someone on morality alone is not sound judgment, as whoever they are they are still completely ignorant beings, so I suspect that St. Francis would have had more than his fare share of greed , anger, and delusion. Good Christian maybe, but not necessarily an exemplary Buddhist. This is a common folly in today's world, thinking that someone who has virtue is a true follower of The Buddha. The truth being that the awareness of a Noble being would probably drive them crazy as they have to go through the various realizations in meditation to get them to that level. 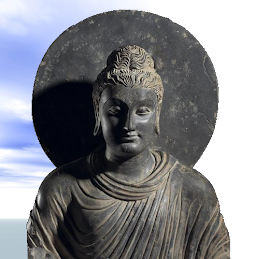 The Buddha stated himself that what he taught was nothing as basic and trivial as morality, even though he was praised for it. Virtue is only a foundation for awakening, it is not awakening itself, and it is light years away from the ending of suffering. Besides, I think he was reborn as Frank Sinatra. maybe Bhante means examplary in certain aspects. 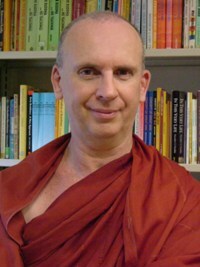 As there are lay persons with better conduct than many monks there also are non-buddhists with better conduct than many buddhists. It is a good point though that what the buddha taught was more than just virtue. Although, even virtuous persons are hard to find among us. How much harder is it to find a virtuous buddhist? Can one be called a true follower of the awkened one for the moments when one fails to be virtuous? Good post! I've thought that same thing about St. Francis. I've thought to myself, if I lived a few hundred years ago and I HAD to be Catholic, I think would go join the Franciscans. At least they believe in renunciation and are kind to animals. I don't think St. Francis would have ever thought he would be reborn as a human being much less Frank Sinatra hehe. Although kindness to animals and renunciation maybe similar to Buddhism, I will always have a core problem with theism. Missing some data here... Francis was not only known for being kind to animals... he was known for handling greed, anger, and delusion... so Ranger, your analysis misses the mark on Francis. When one studies Francis, one finds many stories that are similar to those one finds in Buddhist literature. Not only would Buddha praise Francis as a good monk, but he would probably recognize him as one of his former monks. Francis it turns out was not simple in a childish way but rather knew that real knowledge is that which is imparted in relationship. He was said to have proclaimed, "Teach the Gospel always, and when necessary use words." The Buddha would agree. And Francis was a mystic who spent much time in contemplation. Those funny wounds are what are known as stigmata. For a good introduction to Franciscan mysticism, see Bonaventure's The Soul's Journey Into God. He was not a bad administrator, but rather chose not to spend his time with the bickering of the Brothers. His lessons in the Admonitions call upon the Brothers to act much as one would treat others in a sangha. How could Jesus' gospel of love, gentleness, forgiveness, simplicity and renunciation have been dogmatic and harsh? I do not think Francis was inept or that his simplicity extended to intellectual matters. I have read everything he ever wrote. I've noticed the complete opposite in his writing. He was very smart. He didn't only teach matters of virtue. He was a Catholic, Catholics read the Bible. Siddhartha was 29 when he left his dads. Francis "became a man" much earlier in his life. One thing to remember is that Francis followed the same path as Jesus down to the very last step. That's all he ever wanted.